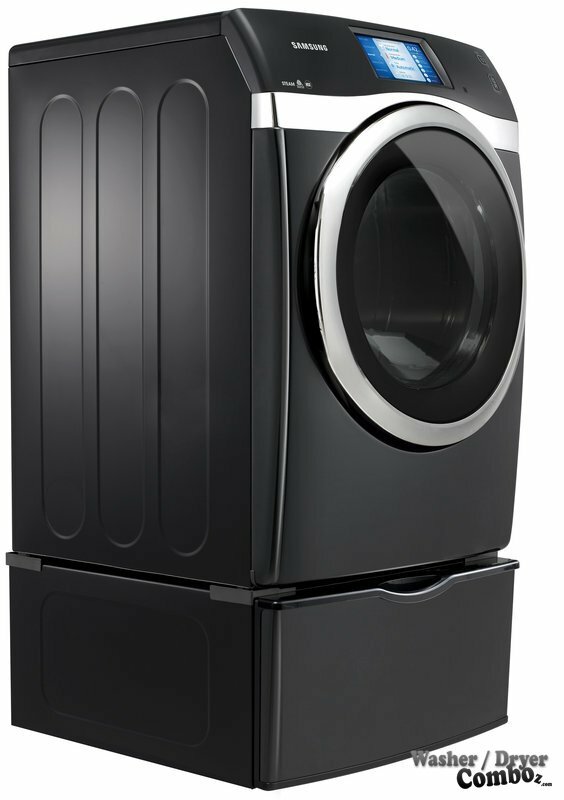 Samsung WF457ARGS 4.5 cu ft.
Samsung is one of the well known companies that provide different appliances, and of course your favorite gadgets. It is still one of the leading brands when it comes to appliances for home living purposes such as entertainment, temperature and other things that involve cleaning and cooking. Now, I’m sure that you noticed a big difference from other washers as well as I did just by a quick look at this machine. 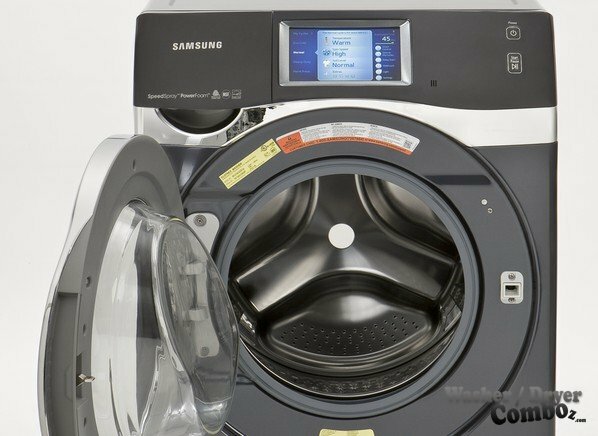 The great modern design with its large touch screen is a really cool feature that makes this washer stand out significantly. 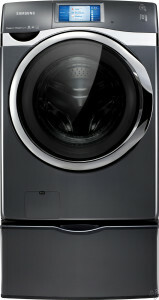 In my personal opinion, this is the most luxurious looking washer I’ve seen so far. But let’s have a look at its properties as well, which is equally or even more important. Capacity (cu.ft. 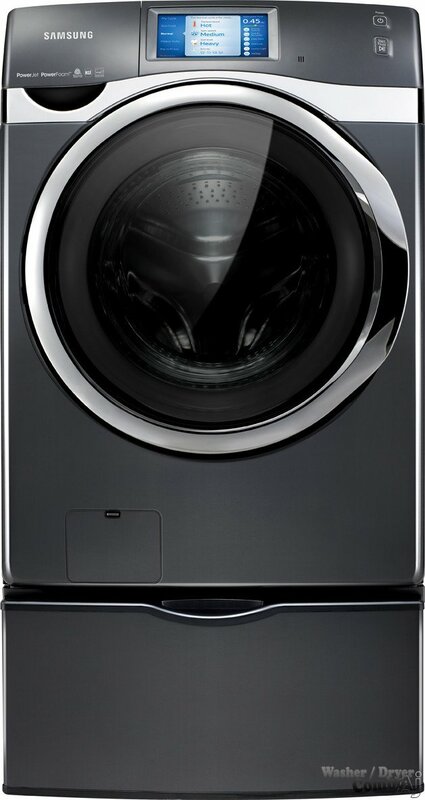 ): 4.5 cu ft.
– Smart Control: Capability to send your smartphone a notification after your laundry is finished. Furthermore you have also a remote control access to your machine. 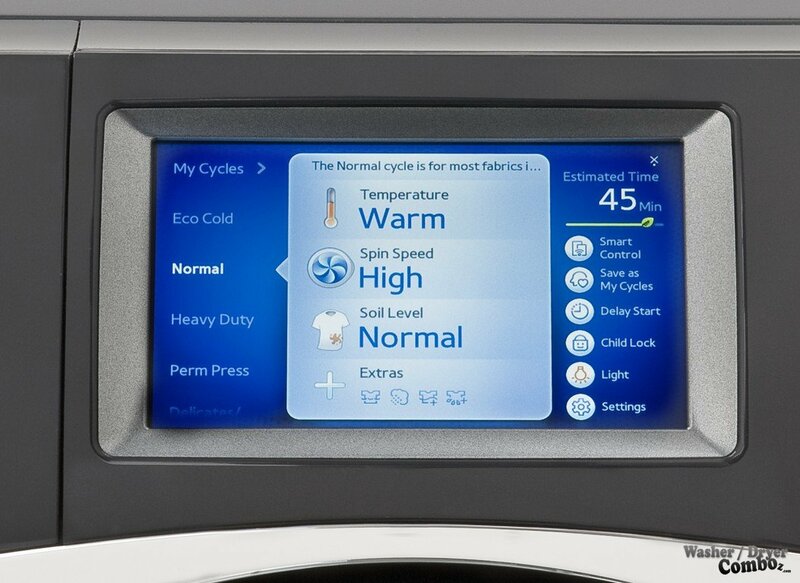 You can simply monitor your the washing from any other room of your house, or even outside. For this to work you need a Wireless network installed at home. Smart Control app available for iPhone 4/4S and Galaxy S1/S2. – SpeedSpray: This way the classic wash cycle can be even 15 minutes shorter. The Cleansing jet shoots water and dissolved detergent directly onto clothes, which makes cleaning to happen even faster. Additionally the Rinsing jet showers clean tap water and drains water simultaneously. The price is probably the only significant negative I can think of based on what I searched on the internet. Of course that you can find also some negative comments, but they are always there and when I take it as a whole and make a comparison with other models, this one stands out very well. Poor customer service for those with errors. Machine does not work perfectly if not installed in the perfect way, and will just waste your time. You can find and compare prices and reviews of the product from different online stores. Just a small advice, if you find that a lot of customers left positive reviews and some negative ones, it usually means that the complaining people don’t use the machine properly or that they received a defective unit. The strongest side of this appliance is obviously the luxurious design, large and beautiful LCD panel, and wireless management. Plus, I cannot forget about the huge capacity of 4.5 cu. ft. which more than enough for even some big families. Thanks to it’s high technology features and great customer reviews, it really deserves to be listed at least as a number 4 front-load washer on the top10 rank table.